Read more about Mass Effect Andromeda complete edition. Mass Effect Andromeda is stated to be one of the most exciting releases in the year 2017. The game is yet to be announced be to released in complete edition form, but with time it is not impractical to think that someday it will be released in complete edition. Mass Effect Andromeda is still in pre-order form, so buyers are only able to buy Standard, Deluxe or Super Deluxe Editions of the Mass Effect Andromeda game. The Standard edition of the Mass Effect Andromeda game includes Deep Space Explorer Armor, a unique armor set to help you explore the farthest reaches of the Andromeda Galaxy, Nomad Skin, a unique skin for the Nomad vehicle as you explore new worlds and a multiplayer Booster Pack which includes 5x of 50% XP Boosters. The Deluxe Edition of the Mass Effect Andromeda game will include all the additions of the Standard version but it’ll also include multiple additional armor and outfit sets, an elite weapons set, and a new vehicle skin for the Nomad. Plus, buyers will receive Multiplayer Booster and Deluxe Launch Packs, ME:A’s digital soundtrack and a pet space-monkey NPC. The final, SUPER Deluxe Edition will have everything, that other version have included but it also comes with extra amount of Multiplayer Booster Packs. 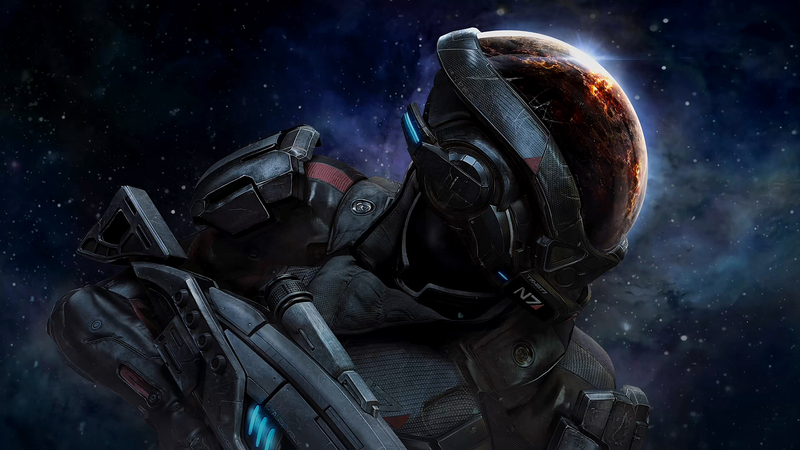 It is safe to assume that in a year or so there will be Mass Effect 4 Final Edition. It is unknown if it is going to be included as a set will it come with actually every piece of DLC released for the game, but it is a common for a highly successful video game to be released in a bundle-pack - will all DLCs and original game included.